They are based in east London and play their home games at The Boleyn stadium. West Ham's nickname is The Hammers but they are also known as The Irons. They were founded in 1895 and are one of England's most recognised clubs. Their highest ever finish was third place in the Football League First Division in 1985/86 season. They were originally known as Thames Ironworks before they changed their name five years later. West Ham have won three FA Cups in their history. Their cup final appearance was in 2006 where they lost on penalties to Liverpool. They are one of only eight clubs to have never fallen below the second tier in English football but the other seven clubs have gone off to lift the league title of the top tier. The Hammers main rivals are Millwall, Tottenham and Chelsea who are all London based clubs. Their bitter local rivals are Millwall but they play is separate divisions currently. 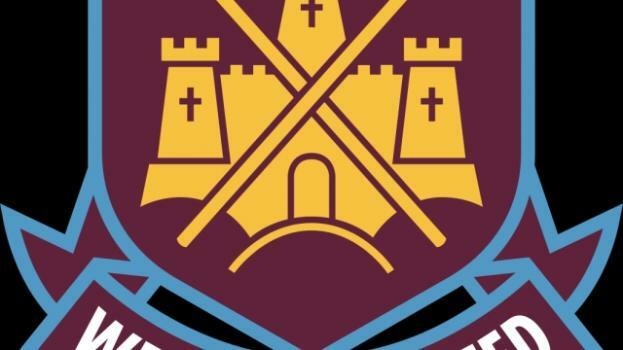 Their club crest is a two rivet hammers crossing each other with a castle as the main picture. The club colours are predominantly claret and blue and they regularly wear a white away strip. The club is highly regarded as one of the best followed clubs in England are a regulars in Premier League. They are also known as the academy of football after bringing through a wealth of talent through their youth teams. Players such as Rio Ferdinand, Joe Cole, Michael Carrick, Frank Lampard, Jermain Defoe etc are all big names to have gone on to play for England and win many trophies. West Ham's owners are David Gold and David Sullivan who are the majority shareholders and they played a significant part in transferring the club to play their home games at The Olympic Stadium in 2016. West Ham's most capped player is Billy Bonds, who made 804 appearances for the club (1967-1988) and their top goal scorer of all time is Vic Watson who netted a total of 326 goals in between 1920 and 1935. They have had a number of legendary players over the years, the likes of; Trevor Brooking, Martin Peters, Bobby Moore, Geoff Hurst, Julian Dicks, Alan Devonshire, Alvin Martin, Tony Cottee, Ray Stewart, Paulo Di Canio, Phil Parkes, Frank Lampard Snr and Steve Potts. Is the appointment of David Moyes as the new West Ham manager a good decision? Hammers chairman David Sullivan says "Moyes is the right man to turn things around." A season long deal with The Hammers brings the England keeper back to the UK. End of season clear out begins in earnest, as two high profile football managers have already exited. The Hammers fire power is set to be boosted with the signature of the 20-goal a season striker.